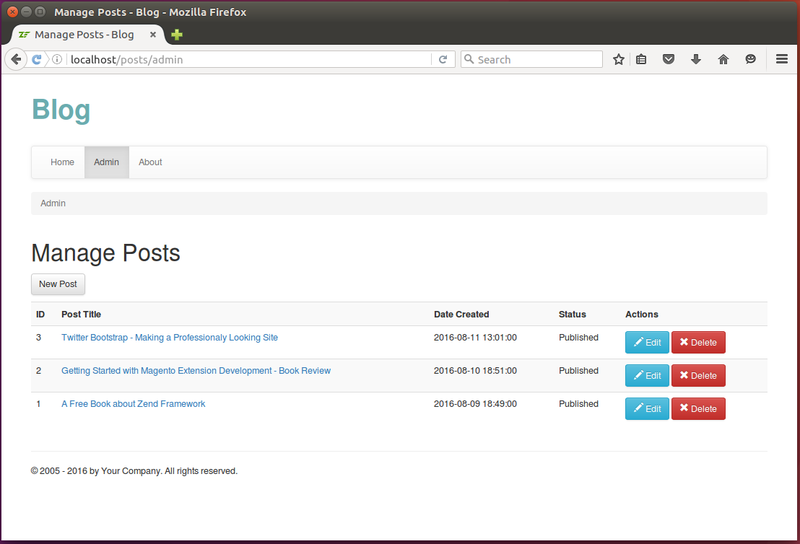 It will store blog posts in a database and provide a user interface for accessing and managing those posts. It is assumed that the blog has the single author of its posts, while comments can be added by multiple blog readers. The website will have two pages: Home page and Admin page. The first one will display the list of recently added posts, while the latter one will allow to add, edit, view and delete posts. To download the Blog application, visit this page and click the Clone or Download button to download the code as a ZIP archive. When download is complete, unpack the archive to some directory. 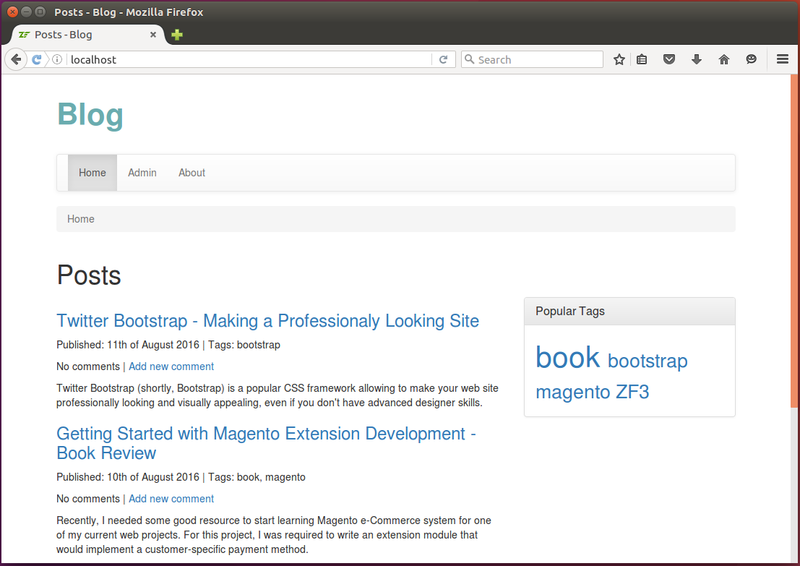 The Blog is a sample website which can be installed on your machine. To install the sample, you can either edit your default Apache virtual host file or create a new one. After editing the file, restart the Apache HTTP Server and open the website in your web browser. For detailed installation instructions, please refer to the README.md file located in the blog directory. For the Blog sample to work, you have to create a MySQL database. Instructions on how to do that are provided in the next section.